We brought back some 猫山王durian from my brother-in-law’s plantation in Muar during our last trip. I was thinking what should I do with those durians which is vacuum packed in my fridge? 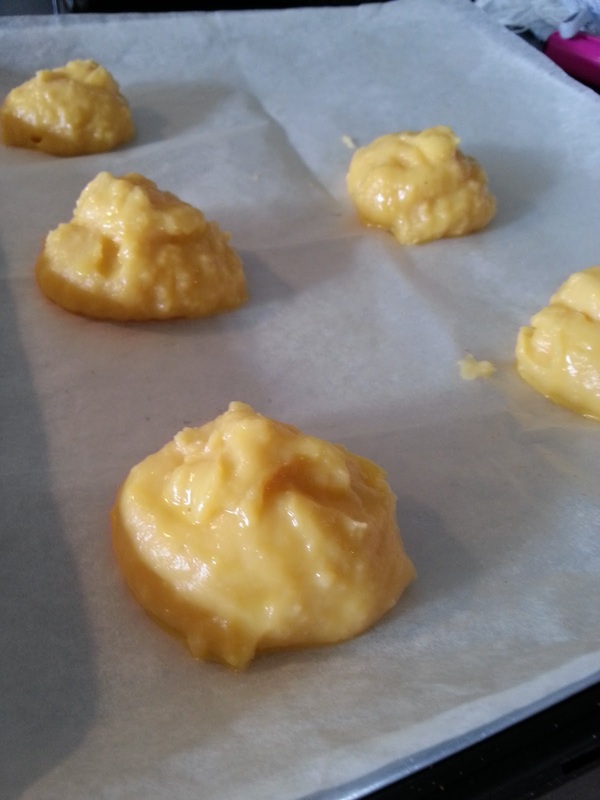 So I thought … mmm… what can be yummier than the durian puff and here I go in the mood of making durian puff. Simple indulgence… and here I present you the recipe, taking from various sources and combined them into my own recipe. In a large saucepan, bring the water, butter and salt to boil over medium heat. 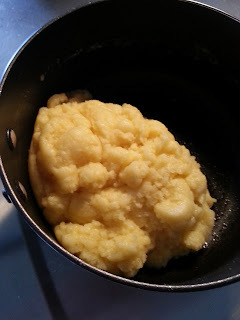 Add flour all at once and stir until a smooth ball forms. Remove from the heat; let stand for 5 minutes. Add eggs, one at a time, beating well after each addition. Continue beating until mixture is smooth and shiny. Drop about 3" size of mixture, 3" apart onto greased baking sheet. Combine milk and egg yolk; brush over puffs. Bake at 200 Deg C for 30-35 minutes or until golden brown. 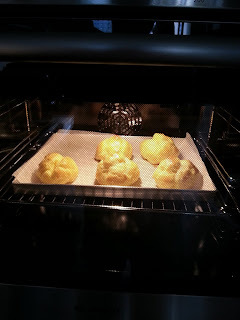 It is important not to open the oven door when the puff is in the midst of rising during the baking. Otherwise the puffs will collapse. Remove the durian flesh from the durians. Mesh them with a spoon until it becomes almost smooth. 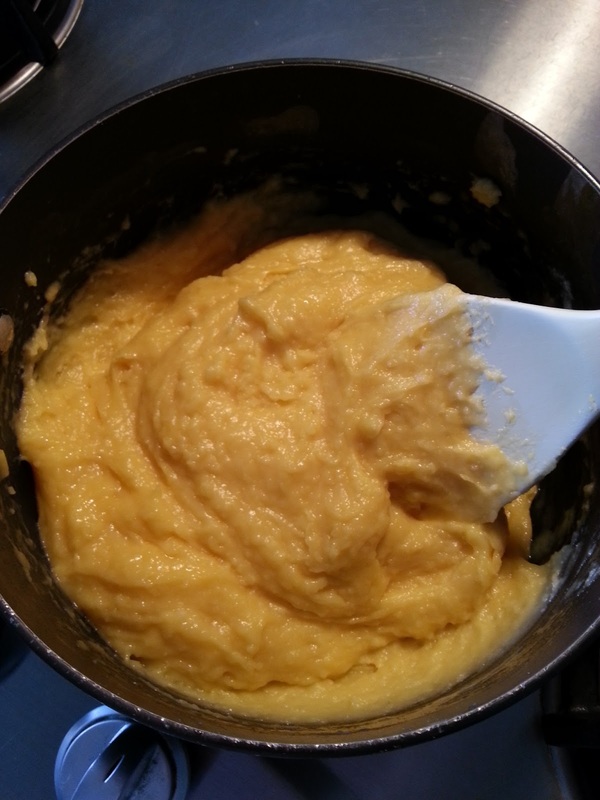 Whip the heavy cream in a bowl using electric mixer. Tilt the bowl and beat until it forms soft peaks. Fold the whipped cream into the durian until it's well blended. 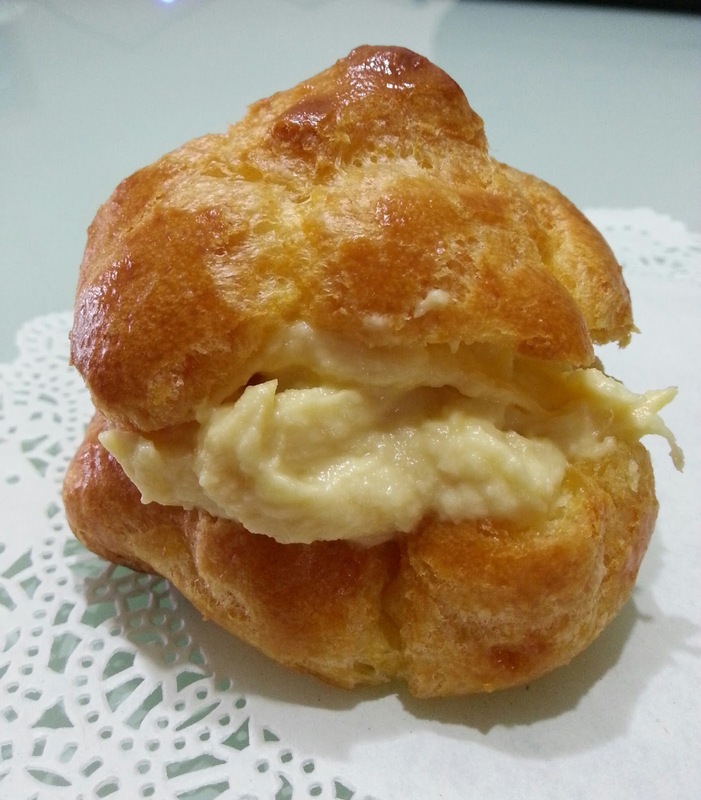 Chill the durian cream in the refrigerator for at least 30 minutes before using it. Remove the puff on wire rack. Immediately cut a slit in each for steam to escape; let it cooled. Stuffed the puffs with durian cream. 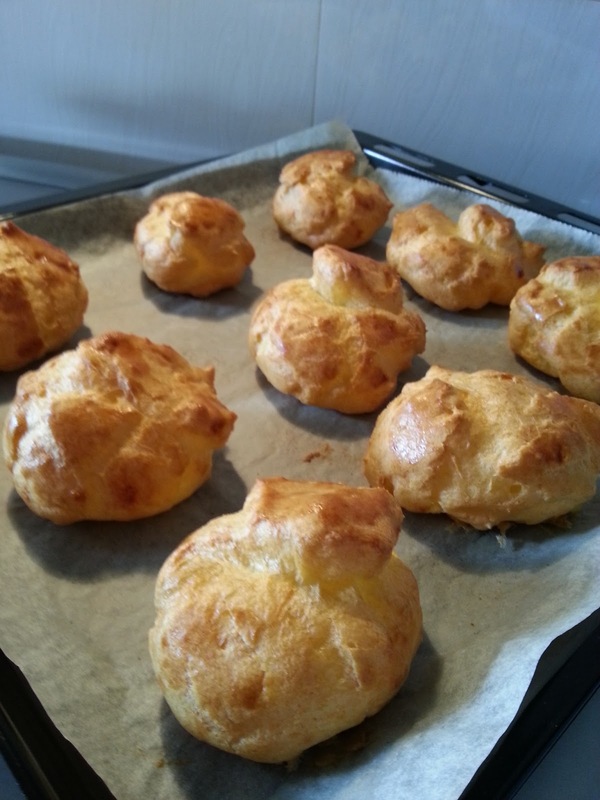 Refrigerate the durian puff and serve them when it's chilled. Last but not least, sprinkle some icing sugar on top of the puff before served could make the puffs look stunning!! I must order this from you one day! you bring durian. Come to my house. We bake together.